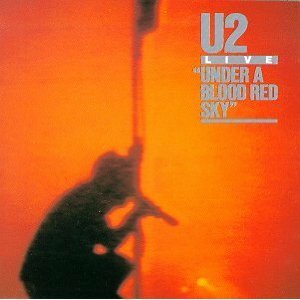 Hearing Under a Blood Red Sky makes me bummed out that I was only 4 in 1983. The energy of of this show at Red Rocks makes me wish I could have experienced it. Yes, Bono is terribly earnest (as I get older I can hear just how young he is here – 24), but I never doubt his commitment to what he’s doing. That someone so young could storm in and capture everyone’s attention so fully is notable. I’ve seen the accompanying concert video, which is an amazing document in and of itself (Bono with a serious mullet plus jeggings with boots), but I’ve just had my mind blown regarding the album, thanks to wikipedia – most of the album was actually recorded in Germany! Here I was, impressed that a young Irish band could blow minds so thoroughly in Colorado, but that’s not really what I’m hearing after all. Ever get the feeling you’ve been cheated?